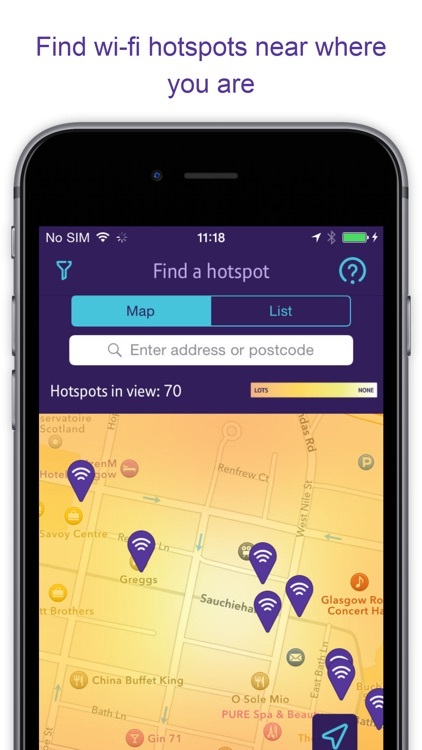 Download the free BT Wi-fi app to get online automatically at over 5m hotspots in the UK. 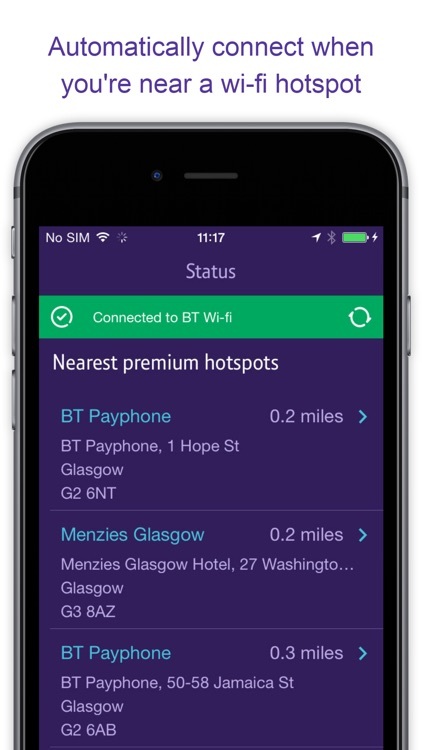 BT Broadband & BT Mobile customers get FREE and unlimited BT Wi-fi access. 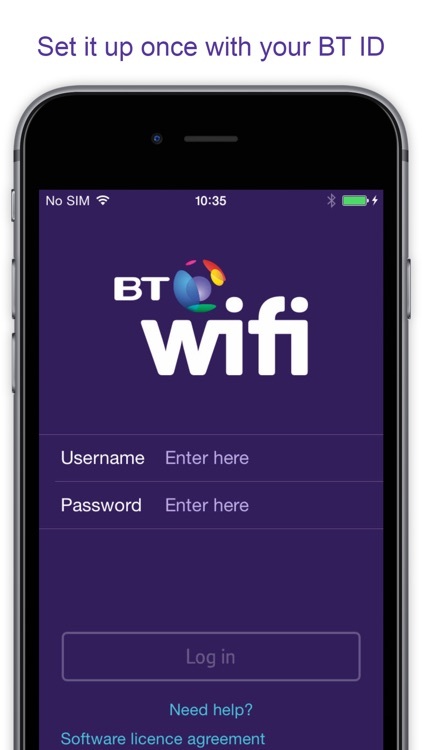 To login to the app you will need your BT ID or your primary email address (@btinternet.com or @btconnect.com) which was sent to you in your order confirmation email. 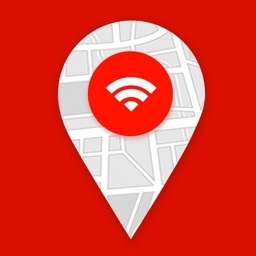 You will only need to login once and the app will automatically connect you when in range of a hotspot. 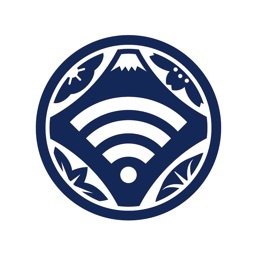 *NOTE* We are aware of issues with the devices ability to connect to hotspots. This is not within the apps control. 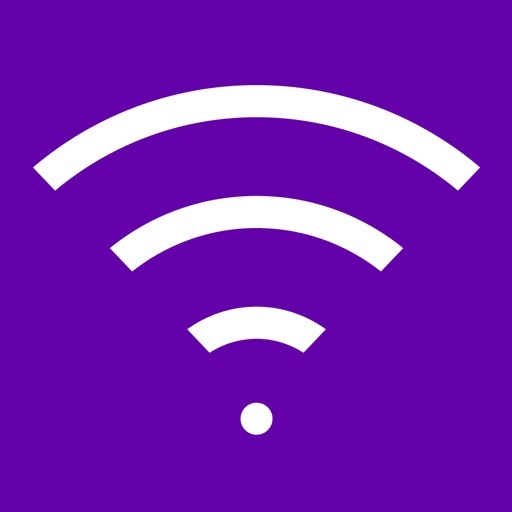 If you’re experiencing problems with automatically connecting when in range of BT Wi-fi hotspots, please check your devices auto-join settings are turned on. Go to ‘Settings’ and select ‘Wi-Fi’. 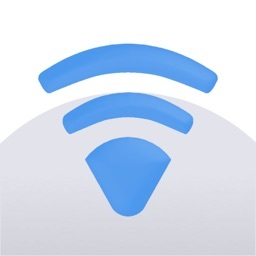 Look for a BT Wi-fi network and click on the (i) icon to the right of the network you’d like to connect to. Now select to turn ‘Auto-Join’ and ‘Auto-Login’ on. If you are still having problems, update your device software by going to General > Software Update. 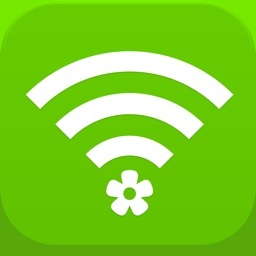 Who can use the BT Wi-fi app? 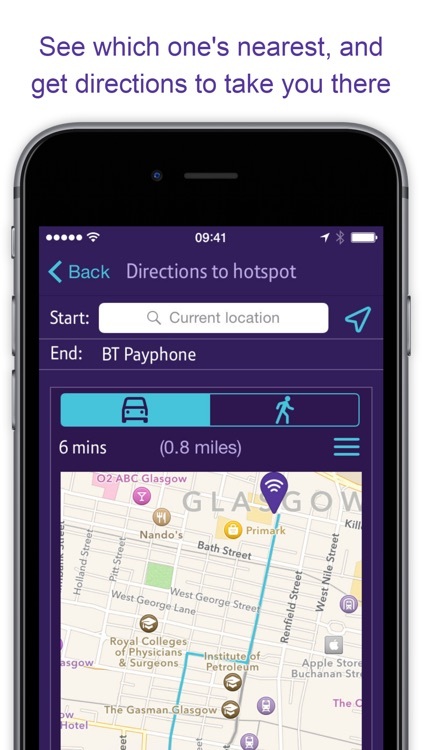 Tweet us @BTCare or email us using the ‘Leave us feedback’ section under ‘Help’ within the app. Our helpdesk will contact you to solve your issue and help you get online.